YOUMAY RadiatorIn order to satisfy customers' growing demands for YOUMAY radiators, we've established a factory that occupies an area of 120,000 square meters and constantly adopted the cutting-edge equipment, including 19 sets of 800T casting machines, 5 punch machines, 3 testing lines, 2 painting lines, and so on. 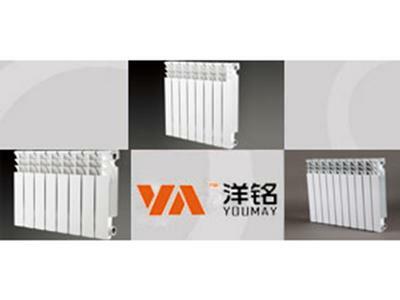 YOUMAY HeaterAs a China-based heater manufacturer, we at YOUMAY have specialized in the production and supplying of aluminum heater, bimetal heater and aluminum radiator for about 30 years. YOUMAY heaters are appliances that are usually used to generate heating so as to keep the users heater than the temperature originally surrounding them.